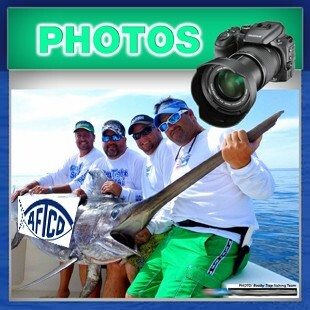 Daytime Swordfishing with the Booby Trap Fishing Team – Catching Big Swordfish in the Gulf of Mexico! The Booby Trap is a 52’ Viking Express docked at Surfside Marina. 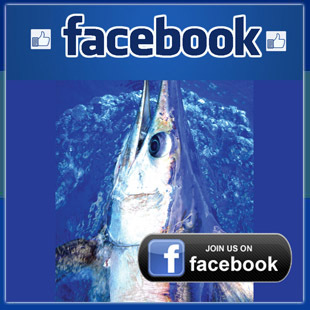 Specializing in catching Daytime Swordfish, Nightime Swordfish, and Blue Marlin the Booby Trap has been the top private boat in the Houston Big Game Fishing Club for 5 consecutive years. 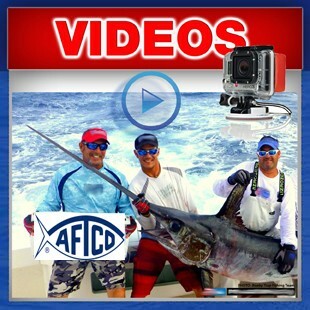 Owner Brett Holden has received worldwide recognition for his ability to catch big fish and pioneering daytime Swordfishing in the Gulf of Mexico. 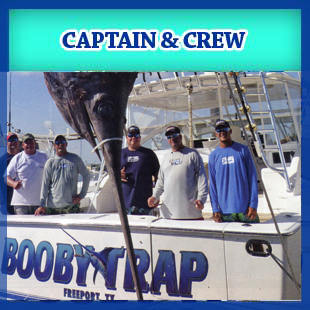 Holden and his crew had a banner 2011 season catching 104 billfish off the Texas coast; 86 of those were Swords bringing the total number of Swordfish logged to over 500 aboard the Booby Trap. 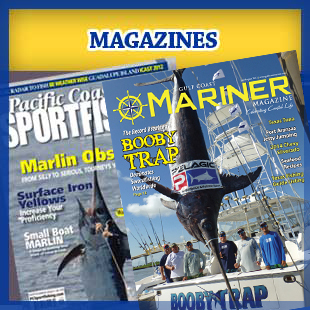 The Booby Trap is also responsible for the first ever Super Grand Slam in the Gulf of Mexico, recording the catch in 2009. 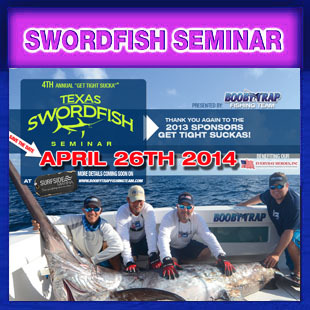 In 2012 Booby Trap fishing team caught 172 swordfish in 41 days. 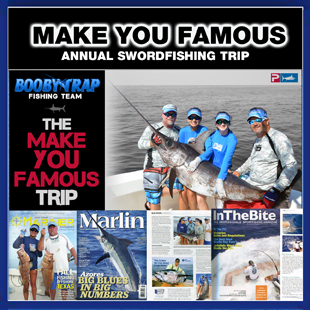 The Booby Trap Fishing Team created the Texas Swordfish Seminar in 2011, an event designed to promote recreational Swordfishing and benefit Everyday Heroes, a local nonprofit organization that provides support to Disabled Veterans. The 1st annual seminar had over 500 people in attendance and raised over $80,000.00 allowing Everyday Heroes the funding to purchase and operate a new van used to transport the Veterans to and from medical appointments. 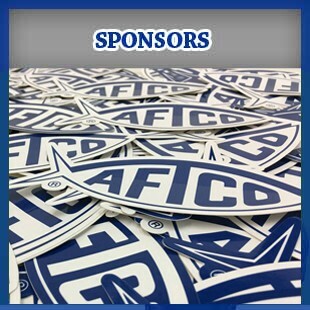 Help Us Raise Money in 2014 to Our Everyday Heroes Veterans! 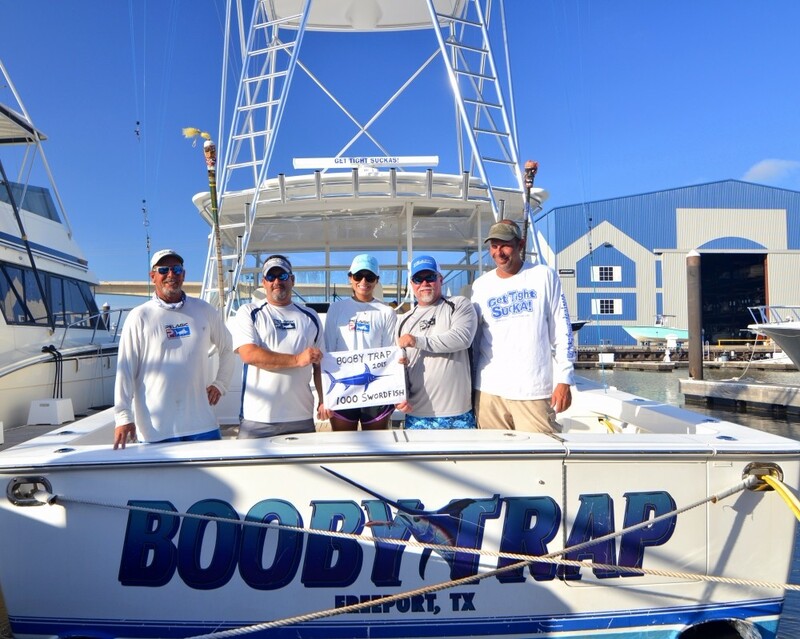 The crew of the Booby Trap just put on their fourth annual 2014 “Get Tight Sucka” Texas Swordfish Seminar. 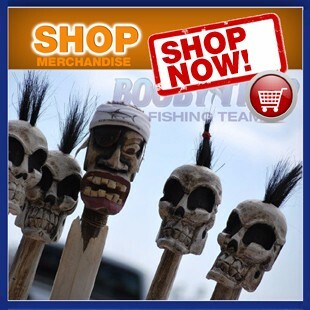 With the help of many sponsors, local businesses and lots of volunteers, the Booby Trap Crew raises money to help the Everyday Heroes organization buy electric wheel chairs and provide transportation to our veterans in need. They cut through the hassle of paperwork and help the people who have served and sacrificed for us all. Completing a challenge he never thought possible, Capt. Brett Holden and the crew aboard Booby Trap caught their milestone.